They say you shouldn’t judge a book by its cover but, in terms of selling your property, the opposite is very much the case. Statistics show that one in six house hunters will form an impression of the outside of a property within 10 seconds – with a third of potential buyers saying that they won’t even bother going inside if they’re unimpressed with the exterior (statistics, Barclays Mortgages). Bearing that in mind, you shouldn’t even think about listing your home until it’s ready for it’s close up. Having said that, there’s no need to spend a fortune on extensive cosmetic work; our simple guide will help you to show your home at it’s best without breaking the bank. When it comes to selling your property, the exterior of your home is as important – if not more so – as the interior. First things first, peeling paint on window sills and doors and filthy windows are the best way to make sure that a potential buyer flees before even stepping inside. Make sure that windows are clean and that exterior paintwork is fresh and professionally applied. Window boxes and hanging baskets add instant homey appeal to a property for very little cost If you have a front garden or driveway, keep it neat and tidy and free of weeds and clutter. It’s impossible to overstate the importance of this step. Rooms full to the rafters with ornaments, toys and other hoarded items look messy and, more importantly, smaller than they should. Before your home is photographed, have a thorough clear out and put non essential items into storage or into the bin. Lots of large items of furniture can make a room look poky and crowded. Take a look at each room as though looking at it for the first time and note your first impressions. If possible, put surplus items of furniture into storage until your home is sold. Needless to say, your home should always be fresh and clean when viewers are expected. Although it may be inconvenient to be constantly doing house-work, it’ll be worth it in the long run as an unclean home is rarely attractive to a potential buyer. For clever hints to maximise your home’s potential such as lots of large mirrors to boost small spaces and using subtle lighting to create a cosy effect. 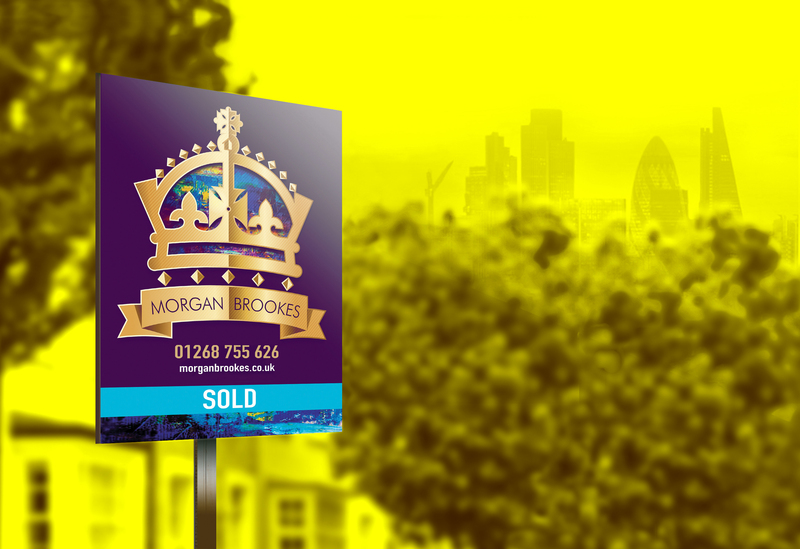 Your Morgan Brookes estate agent will be happy to visit your home during these stages to advise on increasing your home’s saleability.